Description: A course, rough feeling annual plant with stiff hairs. It is much larger than its brother, the Common Ragweed. 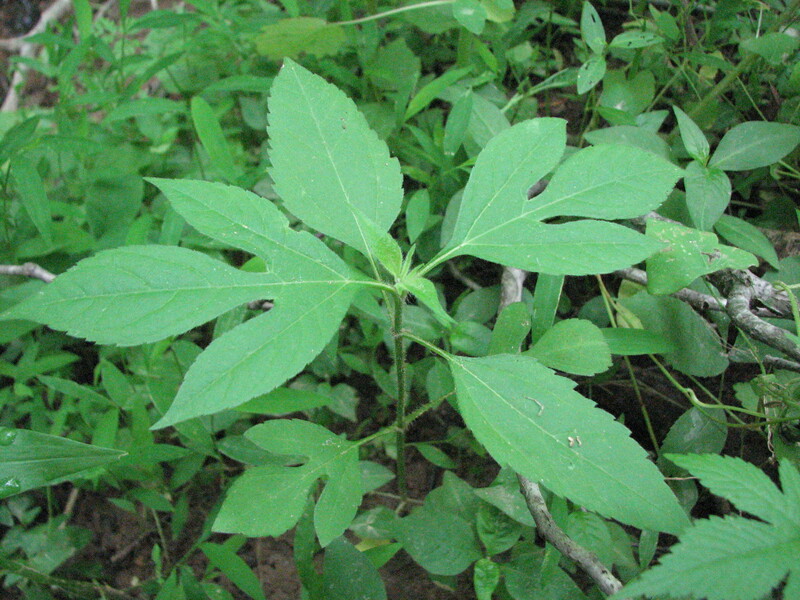 The leaves have 3 to 5 pointed large lobes. The flowers are small, green and inconspicuous and hang upside down on upright spikes. In the summer they produce very obvious bright yellow pollen.